I haven't had time to create any new cards but only to finish up cards triage. Since the Christmas cards deadline is only a week away, I was determined to finish it. 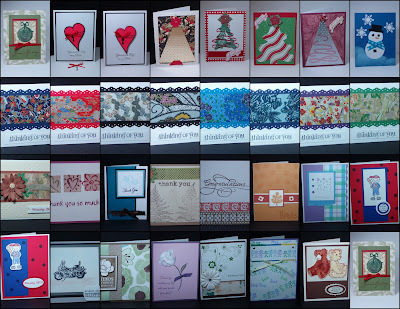 It took me almost two weeks after the Cardmaking Party on Sunday, Oct. 9, 2011. I packed up two boxes of completed cards that are ready to go to OWH - 300 cards to Sandy and 200 cards to Dixie. There are beautiful cards and some designs that I would like to CASE in future. Thanks to Susan, Caro Lou, Kathy, Sandra, Carla, Patricia, Bobbie, Tricia, Karen, Catherine and her daughter, Janet for helping me setting up and completing card kits for OWH Cardmaking Party today. 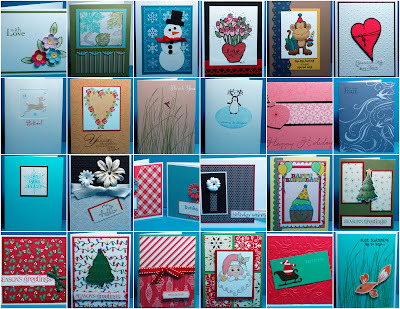 We made 35 different designed card kits. Here are 24 of them as below in the collage. 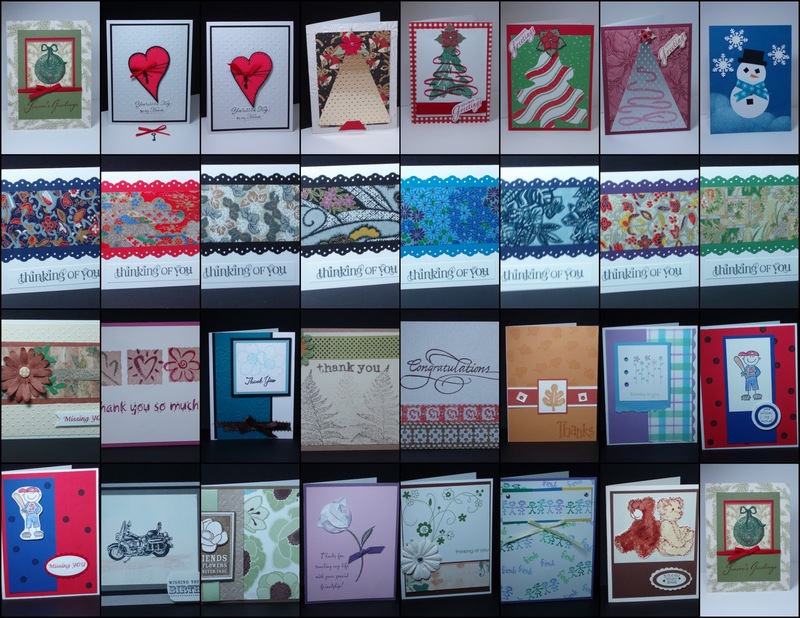 Once all the kits completed including donated cards, it will be 595 cards total. Woohooo! Great job, my dear ladies! Welcome to my blog and Operation Write Home Bloghop on World Cardmaking Day . I've been making cards for the troops with my friends and donated them through the Operation Write Home. Whenever I hear from heroes that they like our cards very much and happy to write to their loved ones, I am so grateful for what I could do as a small token of appreation for their service and sacrifice to protect our freedom being away from their families and friends. I made these two cards for today. 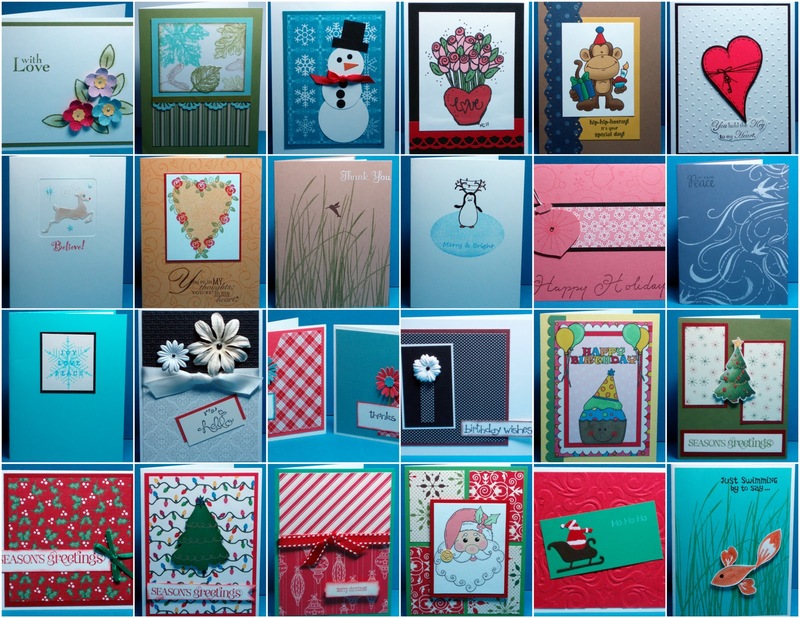 Hope you will like them and get inspired to make cards for the troops. 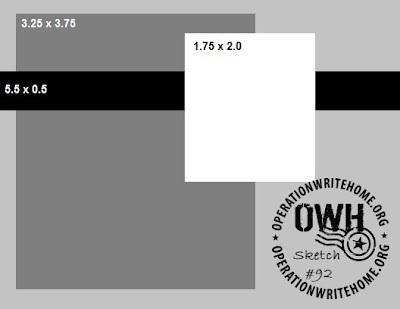 Please vote on the poll at the top right sidebar so that I can decide which one to make more at my next OWH Cardmaking Party on Sunday, October 9, 2011. 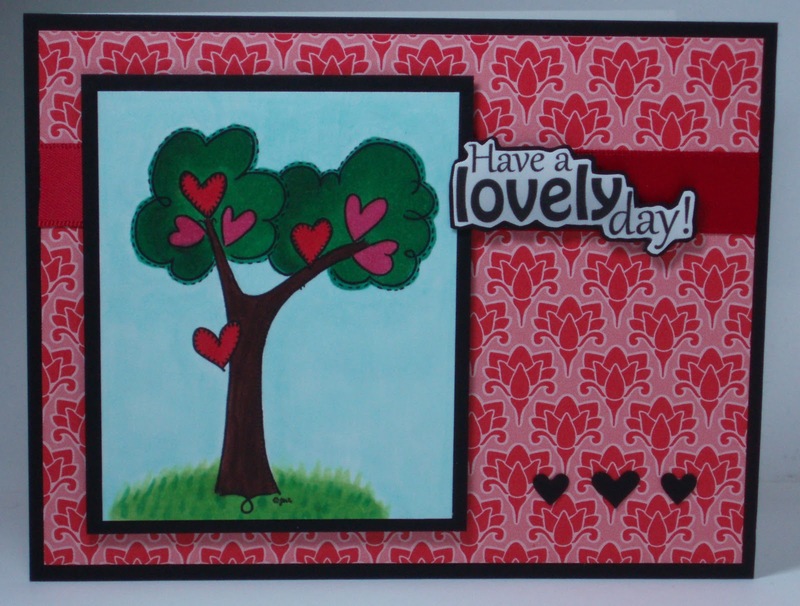 I will be busy making card kits today.